About Concept Papers Writing Help? They intend to provide readers with an in-depth explanation of a certain topic in which the writer has a keen interest and strong position on. Most of the time, the terms ‘proposal’ and ‘concept paper’ are used interchangeably because they are used for the same function. They may also be used in discussing the best practices, issues, and philosophies that you believe that action must be taken soon. 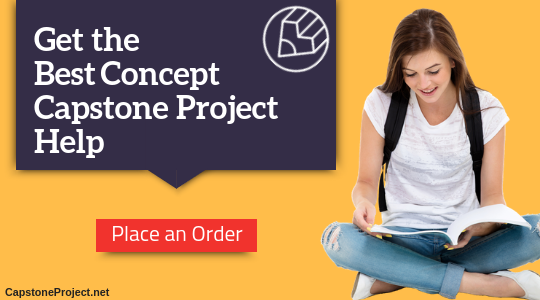 A capstone research project is a summary of projects or issues that the interest, expertise, and experience of the writer or organization, usually with the objective of obtaining funding for the project from donors. Title Page: this will provide the readers with a clear title to your proposal as well as any other specific information that is requested. Statement of the problem: this introductory section should provide the reader with an outline of the issue that you are looking to solve and why it is important. Preliminary literature review: this is a study of the literature that is available around the subject of your intended research. Usually you will start with a broad view of the topic and then focus into look at the specific issue you will be investigating. Goal statement: this will give the reader a clear idea of what you hope to achieve through the research that you intend. Research questions: these are the specific questions that you will be seeking to answer through your intended research. An abridged methodology: you will need to show and justify the methodology that you will be looking to use to conduct your research. Timelines: show that you have thought about your research with care and provide a timeline with clear milestones to show what will be achieved and when. References: you should always provide a full list of all of the sources of information that you have used and cited within your paper using the correct format. Check the requirements: all institutions will have very specific requirements for how your concept paper should be structured and formatted and these must be followed to the letter. Failing to follow their specifications will see your proposal rejected out of hand. Plan your writing: just as for your actual project it is best to plan out how you will approach writing your concept paper. Often this is something that can take months to complete. Do your research thoroughly: use reliable sources of information to support what you hope to do and to justify your research. Ensure that your literature review contains correct citations. Outline your proposal: use their guidance to map out exactly what should be covered in each and every section of your paper. A good outline will make the writing considerably easier and help you to avoid issues and rewriting. Get advice: always have others review your paper and accept any criticism that they level at your writing. It is always better to act on what they tell you rather than have your paper rejected. Proofread: simple mistakes in your writing can sink your paper before you have any chance to go any further with your research. Ensure that the requirements, including funding patterns and pertinent details about your proposed project, match those of the target audiences. Remember that grantors are specific to the project and organization they fund and not fund. Develop a reference list to discuss the type of model to which your project will be directed. Obtain the approval of people who are authorized to do so before submitting the concept paper. Make writing a concept paper easy by using our advice or working with our highly qualified and reliable staff here today!